Georgina Cave founded Cave Interiors in 2002. Based in north London, the practice works locally as well as internationally. Georgina’s decorating style is eclectic and full of personality, but always with an eye on creating practical spaces tailored to an individuals’ needs. This is exactly the subject she’ll be discussing at a Conversations in Design session, along with a panel of other experts: how do designers produce work that is not only creative and exciting, but speaks of the client rather than the designer? You’re speaking about ‘How to Decorate with a Difference’ – how do you bring out the individuality of the homeowner in each space you design? To me, creativity is designing function and form to match the architecture of the building and, crucially, the human realities. When taking the initial brief, the aim is to draw out as much information as possible as to how our client lives and their likes and dislikes, the latter being equally as important as the former. The aim is always to make the creative process fun and relaxing for them, which creates a better end result. Having a relaxed client reveals the real “them” to develop the whole scheme around. Focus/18’s theme is the power and positivity of colour – do you find that clients are more willing to be bolder with colour now? Or is it you doing all the encouraging? It is mainly me encouraging and gently pushing where necessary to create more impactful, interesting and warmer schemes. Colours needn’t be bright to be bold, though: it’s the way they are used that will provide the impact. Depending on the architecture, carrying the same colour through from the walls on to all the woodwork, or combining a strong wall colour with a complementary softer tone, will create a visual impact. The use of colour in the furnishings and soft furnishings will also all help add colour. Where do you head to first at Design Centre, Chelsea Harbour? Is there a showroom or product you’ve had your eye on, saving it up for the right project? Ooh that’s hard, as I have lot of old favourites and most definitely a few new. Abbott & Boyd, Lelievre, Phillip Jeffries and Chase Erwin are among many of my ‘go to’ showrooms, with George Spencer, Lewis & Wood, Porta Romana, Stark Carpet and Artisans of Devizes being among many of the new. I’ve specified a wallpaper from George Spencer on a current project that I’d been hoping to use for some time – all will be revealed when it’s completed later this year. An Art Deco villa in the South of France, an Arts & Crafts house in Highgate, two further large house projects in Highgate, a Grade II listed house and another large Victorian house (both in Primrose Hill), a renovation project in West Hampstead as well as two smaller projects for returning clients. What’s your style at home? Is it a testbed for new ideas? I wouldn’t say that it’s where I test out new ideas but rather that it’s where I like to achieve my own strong and personal look. I love mixing things up from various eras and I’ve deliberately offset contrasting materials against each other, for example industrial with classic, textural plains with patterns, neutrals with colour, antique with modern and so on. Starting with the expected and then adding an element of surprise is definitely something I like to achieve at home as well as on all of our projects. In all my design work, including my own home, longevity is key. To quote Coco Chanel: “Fashion fades, only style remains the same.” That’s what I aim to achieve! 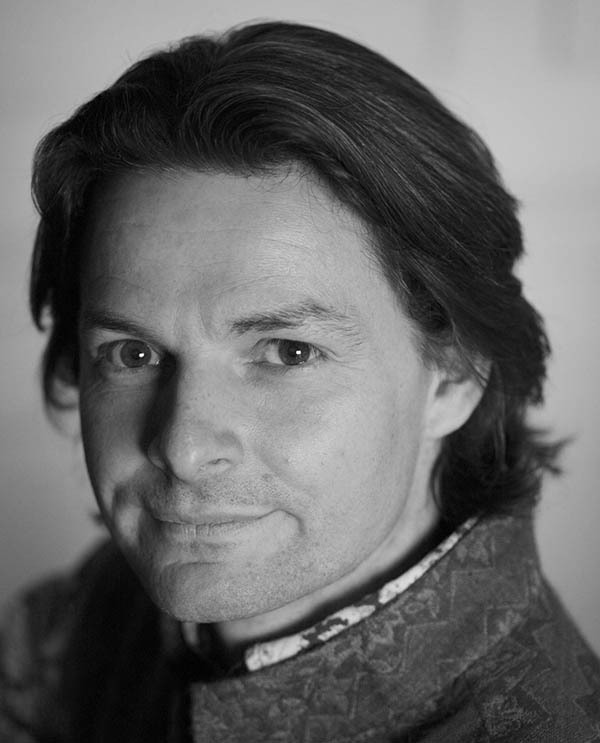 An interior designer with a specialism in historic buildings, Edward Bulmer has worked across houses, castles and palaces to ensure that yesterday’s buildings are fit for purpose today. He also runs Edward Bulmer Natural Paints (available from Tissus d’Helene), whose products offer not just a palette that is sympathetic to period properties, but a formula that is healthy and chemical free. At Focus/18, he is speaking as part of a panel discussion about how our architectural heritage can be adapted for 21st-century living. Are you still surprised by the colours used by the homeowners/decorators of the past? If I am surprised by anything, it is that there are various ‘rules’ that have been observed for so long. The one I encounter most often is the use of the traditional colour wheel to ensure that contrasting colours are used in a balanced way. It is so simple and it is why sometimes strong juxtapositions – red/green, yellow/blue – seem to work effortlessly. Robert Adam was pretty obsessed with using colour in this way and one is never surprised to be using a wide palette in the restoration of his schemes. Should colour be historically accurate in a historic building? Or can it bridge the gap between old and new? I believe that materials should be historically accurate in the sense of how they perform and when visible, how they appear. Paints have historically been made with a limited palette of pigments derived from minerals, and cloth has been dyed with a mixture of plant and animal dyes. Adopt these raw materials and you will have a colour spectrum that will be more harmonious; in my opinion this is the best way to bridge ‘gaps’ between old and new work. As a maker of natural paint, are you heartened by the increase in interest in ‘the healthy home’? Of course! People affected by paints with petro-chemical ingredients are not a tiny minority anymore – multiple chemical sensitivity (MCS) is now the fastest growing health concern for the NHS after obesity. Using natural paint not only keeps toxic emissions out of the air, it also helps to regulate moisture, one of the primary causes of damp. If you can control damp, then the building as well as its occupants will benefit. What do you obsess over in your work? Doing the right job – the right job, being the best job I can! Sometimes something can look right but it is badly made – it can only look right to me if it has been well and honestly made. What’s been your most challenging project? Setting up a paint business. It is a big and mature market and so the largest companies and the industry’s trade body have enormous influence. We never had the option of a fat marketing budget so we have built up sales by showing people examples of real homes transformed in look and feel by our paints. We have been able to capture attention through editorial and social media, so our message is getting out there despite our tiny size! Where do you feel at your most creative? When I create I am quarrying a vast visual memory bank fed by visiting so many historic buildings and by a sizeable reference library in my design studio. So it is true to say that home is where I am most creative, as my studio is in a converted farm building next to my house. This house was built around 1700 and is redolent with history – so if I need to clear my head I am blessed to be able to take a walk around its restored Georgian fish ponds. Martin Hulbert Design, founded in 2010, has created some of the most memorable hotels of recent years, from The Grove Hotel to Coworth Park, alongside an enviable portfolio of homes for private clients. 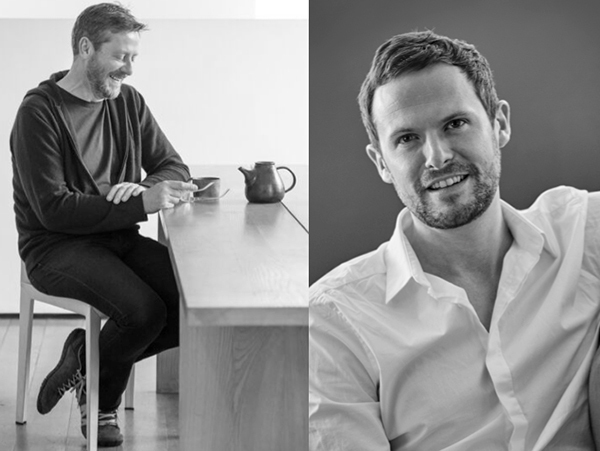 With the influences and ideas that inform residential and hospitality design becoming more fluid, Martin (above left) and the studio’s co-founder Jay Grierson (above right) are perfectly placed to talk about how designers shift gear between the two, and how to create spaces that have soul. Martin explains more about this topical subject below. Are hotels striving to create a more soulful ‘home from home’ in terms of their aesthetics? Some hotels are trying to be soulful, but more are trying to be individual. I think customers or clients in the future will be looking for more of an escape, with something that is comforting and not too visually demanding. They are looking for an effortless experience. Are there challenges in creating hotels that have a more individual, expressive aesthetic? The challenge is to be constantly re-inspired when we are creating a hotel and to deliver interiors that are not over-designed and that will easily become outdated. What about design influences going the other way? Are private clients often inspired by their travels when it comes to briefing you on their homes? Hotel bathrooms definitely influence our residential clients. They want a completely finished look. Interestingly, more recently we have been working to make hotel bathrooms feel like part of the room rather than a separate clinical entity. Our clients are definitely inspired by their travels – as are we. A recent brief from one particular residential client was Japanese cherry blossom, just opening. How do you think this cross-fertilisation of ideas will evolve? We have always approached our projects individually so we have always believed in cross-fertilisation. We think everyday growing demands and stress levels are behind this need for escapism that some hotels are beginning to evolve. In the future we will want to bring this effortlessness into our homes, too. Private homes in the UK and Moscow and holiday homes in Corfu, Tuscany and the Caribbean. We are also working on a number of unique hotels. We work in a lovely studio with a great team. We tend to inspire each other and we have a lot of fun in the process. How do you like to recharge, away from work? Reading, gardening, travelling, eating and drinking. Do you have a design mantra? Our interiors are about creating atmosphere as well as aesthetics. They have to be beautiful; even more so when you live in them. They have to be a perfect fit for the people they are designed for. Led by creative director Sophie Ashby, Studio Ashby has a highly individual approach to residential and commercial projects. Her work on show apartments for luxury developments such as South Bank Tower and The Colyer in Covent Garden demonstrate how developers are now seeking a much more personalised kind of design, mixing art, vintage pieces and the unexpected – something that stands out from the crowd. Her broad experience and lively style will be fruitful fodder for her Conversations in Design talk, on the subject of the rise of individualism and creative expression. You’re speaking on a panel about ‘individualism’ – has the idea of individual creative expression moved higher up the pecking order in interior design? I think individualism in interior design is always high up the list. Every interior is a reflection of a client’s own quirks and passions and nobody wants their home, bar, hotel or restaurant to be like another’s. We play with the juxtaposition of opposing elements: the raw with the refined, natural with manmade, neutrals with colours, antique with contemporary, the minimal with the rich, the expected and the surprising. We believe there is a poetry in the tension of these combinations, the careful layering of which brings character, atmosphere and feeling to interiors. We are driven by beauty, discovery and the potential for telling stories with interior design. Where would you head to first on a visit to Design Centre, Chelsea Harbour? Pierre Frey, Dedar and Lewis & Wood are some of my favourites. Is there a product or showroom at the Design Centre you’ve had your eye on for a while, saving it up for the right project? I’ve got my eye on some particularly beautiful fabrics at Colony I would like to use. What are the ingredients of the perfect interior? It is my belief that an art collection is the soul of a home. Much of the magic of an interior comes from the authentic and the surprising; and playing with art is the simplest way to evoke those feelings. The power of a photograph, a painting or a sculpture is awesome; awesome in the old-fashioned sense of the word, awesome because it has the ability to reach out and talk to you. As far as I have worked out, it is absolutely the magic ingredient in creating a strong sense of home. Is craftsmanship an important part of your work? Studio Ashby’s relationship with artisans and craftsmen plays an integral role in developing each project. I am learning that creative excitement is born from new conversations with the inspired people I meet: the makers, craftsmen, artists and artisans who pass through our studio and show us their wares, skills, products and passions. When I am relaxed, on holiday, strolling around an exhibition or on a country walk, with time to think and dream, plot and plan. Some very exciting private residential projects in London and further afield. Art. At the moment I am focusing on contemporary African art but I am also scouring eBay for German ceramics, Murano glass and Oriental lacquered keepsake boxes! 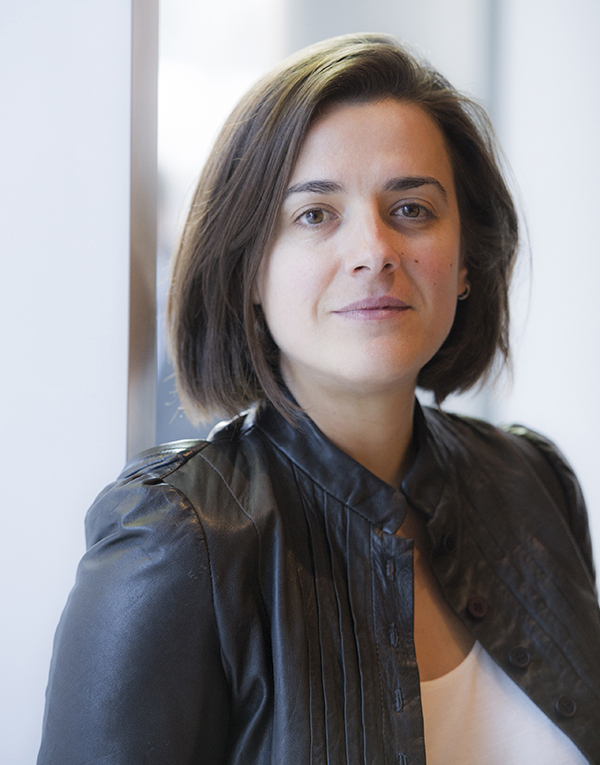 Afroditi Krassa describes her work as the creation of “category-defining hospitality”. From Heston Blumental’s ultimate airport restaurant at Heathrow to Tel-Aviv-inspired London restaurant Bala Baya, her design schemes make customers want to stay a while – and come again. 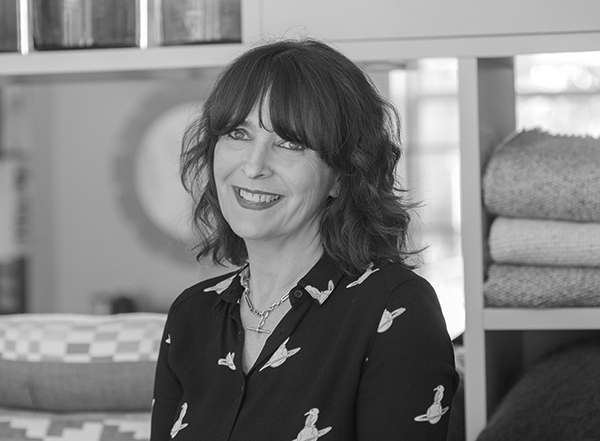 She’s speaking as part of a Conversations in Design talk about how hospitality interiors increasingly need to be multi-functional, experiential spaces – and elaborates on that subject here. Why do hospitality spaces now need to be more multi-functional? Audiences are in need of constant stimulation – it is the digital-era generation. The customer is much more engaged long term when spaces fulfil different needs at different times; it builds a longer-term connection. Is there a hospitality project of yours that stands out for being multi-functional? We are currently working on a couple of projects that require multi-use thinking, most notably Dreamland in Margate, where we are reinventing a 70,000 square foot internal area to accommodate F&B, entertainment, culture and retail all in one. What other hospitality trends are you seeing? I think multi F&B spaces [food markets] are also a massive trend – a modern-day Disneyland for foodies, if you like. What are some of the design ingredients of the best hospitality interiors? Perfect lighting and sound. We tend to forget that the visual aspect is only a very small part of the creation of overall ambience; our senses go beyond that. In an oversaturated visual world, our bodies crave uber-atmospheric lighting and great sound. Has the rise of Instagram has affected your work? Yes, 100%. Spaces that are not photogenic are disregarded, which is a shame, as sometimes it is the least loud of environments that capture your heart. But it is very early days for social media and I think it will change soon. It’s a bit like first-generation websites that used to be all singing and all dancing: now it is all about content. Heston Blumenthal’s restaurant at Heathrow. Trying to translate Heston’s thinking and ambition, as well as Michelin-starred dining, to an airport environment with many restrictions required quite a lot of patience – which is not my virtue. As well as Dreamland, but we are also launching a new high-end boutique Indian restaurant concept in central London, creating a future blueprint for Byron Burgers across the UK, and we’ve just started on a disruptive new indie restaurant concept for Frankfurt. Artist and designer Luke Edward Hall’s work has a carefree, nostalgic quality that has found a ready audience and attracted the likes of high-profile collaborators such as Burberry. As well as selling his own-designed ceramics, cushions and prints – adorned with motifs that include prawns, Greek statuary and prowling tigers – he also works as an interior designer. He is taking part in a discussion at Focus/16 that delves into the creative secrets of a panel of industry insiders. How do you view the relationship between art and interiors? Art for me plays a very important role in interior design – when designing an interior, pictures and prints are as important, say, as the furniture and choice of paints and wallpapers. Like books and flowers, art brings a room to life. Over the past couple of years I’ve started building up a small collection of art with my partner Duncan – it mostly consists of prints and old exhibition posters at this point, but I’m looking forward to watching it grow. Like our books and our furniture, our collection of pictures reflects our tastes and interests. Ashley Hicks has chosen your work for Focus/16’s ‘Art & Interiors’ exhibition – have you worked with him previously, or was it out of the blue? Ashley and I are friends, we haven’t worked together previously but I’ve been a fan of his interiors and the furniture and objects he designs for a while. I’m working on interior design projects in London and the countryside, several artwork commissions and a few other exciting projects including an exhibition which I’m staging at Christie’s South Kensington. It’s called Young Hearts and it’ll be open from 24-29 September. Have you had any favourite commissions? I very much enjoyed working with Burberry this past summer. I did illustrations of their clothes and bags, which formed part of their global campaign, we did installations in their shops and my drawings featured on billboards around the world. It was exciting to see my work used in lots of new ways, and on a huge scale. Your style is quite nostalgic for the early 20th century – what’s the appeal of that era? I particularly enjoy collecting ceramics – old and new – usually funny things like dishes in the shape of vegetables or animals. My current favourite item is a bowl we picked up recently in the shape of a crab, complete with claws. It’s good for serving olives. Now that you’re working as an interior designer too, has it been hard to meld your own personal style with someone else’s taste? It’s going to be an exciting challenge. When working with a client, the end goal is to end up with an interior that primarily reflects the client’s taste and personality, guided by me. Where do you feel at your most creative? Do you sketch out-and-about, or prefer the comfort of home? How do you like to re-charge, away from work? Cooking! We have an excellent greengrocer near our home – my perfect way to unwind is to go and stock up on produce and spend a weekend afternoon at home with Duncan, cooking and making our way through the newspapers. I like to escape London often too. At least once a month we’ll drive down to Wiltshire or Somerset, go for lunch, stay overnight in a pub, walk and rest. Architect Thomas Croft heads up TCA, which he established in 1995. The practice is known for its links with the art world, having designed many commercial galleries (including David Gill Galleries and Timothy Taylor Gallery in London, and Ordovas Art in both New York and London), as well as art-filled private homes for leading gallerists and other collectors. He is taking part in a panel discussion at Focus/16 hosted by FT How To Spend It that discusses the blurring boundaries between art and design, and the ways in which art affects his work and life. How has the rise of art collecting among private clients affected how you work? Maybe it’s just the sectors we’ve worked in but we’ve always found art is a crucial component of lots of our projects. The architects who I worked for between leaving the Royal College of Art in 1985 and starting my own office in 1995 (Richard Meier, John Pawson and Rick Mather) always did both galleries and houses for dealers/collectors. So doing the same sort of projects for my own clients was a natural progression of that. When you’re accommodating amazing artworks in a home, how do you balance the softer domestic side with the need to show off the art to its best? So long as the art is well lit, then it can usually look just as good in a home or in a gallery. We’ve done three projects in recent years for the New York art dealer Per Skarstedt –two galleries and one home – and the same art looks equally good in both without any need for accommodation in terms of design. You’ve also designed private galleries – what’s influencing the design of such spaces? The air conditioning specifications keep going up – these days most commercial galleries require museum-quality air-conditioning and humidity control. This can be very expensive to achieve and it’s something that the top private collectors will probably want to start installing at home as well, in order to keep pace with insurance requirements etc. A further development is the need for drastically reinforced floor structures, to take very high sculpture loadings wherever they might need to be located in the future. We’ve done this in several collector’s homes already. Do you collect art yourself? What sort of thing? We are lucky enough to have two homes and they have quite different art. In London we have all contemporary works by artists like Richard Hamilton and Gary Hume, plus a lot of long-term loans from Nvisible Museum’s collection. In the country it’s a house I originally designed for my late parents and it contains a lot of family pictures from the 17th to the 19th centuries, mostly portraits of previous Crofts (we used to own the Anglo-Portuguese port wine house Croft Port). It’s nice to see the old family members at the weekend but it’s equally nice to be able to leave them behind and get back to modernity. What is your earliest ‘design’ moment, the one that perhaps set you on your path? The architects I met when I was a child seemed like nice people. Going to school in the precincts of Canterbury Cathederal for five years probably had an effect also. The new Skarstedt gallery in London, which opens on 1 October, and three new houses for the Howard de Walden Estate, behind RIBA HQ off Portland Place, which just started construction. A new building for the Royal Yacht Squadron in Cowes on the Isle of Wight is on the drawing boards. No, we’re very undogmatic and like to stay flexible. The world seems complicated enough and we always try to simplify as much as possible, even though there might be a lot of background complexity required to achieve that simplicity. Obviously the lack of visual clutter is a must for all gallery spaces and consequently we spend a lot of time obsessing over trying to control & reduce a plethora of air conditioning, lighting, fire, CCTV and PIRs that always conspire to disrupt that simplicity. Who would design your perfect house? I’d be pretty happy living in a Richard Meier-designed house. However there aren’t currently many to choose from in the UK; at the age of 81 he’s just built his first, outside Henley, for the actor Rowan Atkinson.